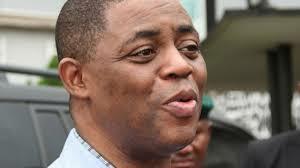 A former Minister of ‎Aviation, Chief Femi Fani-Kayode has commended President Muhammadu Buhari for seeking for forgiveness from Nigerians and tendering national apology to the family of the Late MKO Abiola. Fani-Kayode in his reaction to Buhari’s apology said for this I commend @MBuhari. Muhammadu Buhari @MBuhari "On behalf of the Federal Government, I tender the nation’s apology to the family of the Late MKO Abiola, who got the highest votes in the June 12, 1993 election; and to all those who lost their loved ones in the cause of the June 12 struggle"